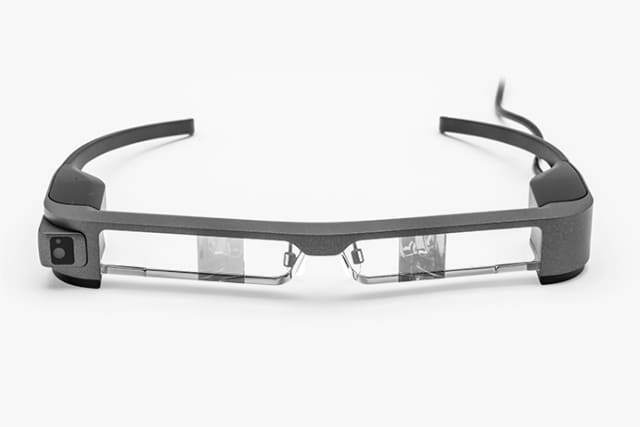 The goal for Japan’s Seiko Epson product development team was to create the latest version of its Moverio BT Series Smart Glasses to maximize comfort in some key ways: reducing the weight, and making the design as ergonomically sound as a person’s favorite pair of glasses. The optical technology packed into the new headset includes liquid crystal micro displays, and its feature-set includes connectivity to external media, giving users hands-free access to online videos and imagery from drones through a specialized app. For product teams that are developing any kind of computing headgear, form and function are inextricable from each other, and require a much higher degree of consideration than mobile computing devices, for example.Of course, at ENGINEERING.com, we cover a great deal of phenomenal CAD/CAM/CAE software and simulation software that can give product development teams like those at Epson very powerful methods for understanding what the user experience will be like—before they create any physical prototypes. For example, the strength of frames and the headset’s centroid balance can be checked and verified. And while such information is certainly advantageous for design teams, when it comes to comfort—the proof is in the physical experience. The distribution of weight for such a headset must be evenly balanced: there can’t be unwieldy or uncomfortable pressure on the sides of the nose, on the top of the ears or the top of the head. The design challenges for headsets are clear—just think about the number of people who need to wear regular glasses to correct their vision and choose laser surgery so that they do not have to wear anything on their head (sure, physical appearance is also a factor in such decisions). This analogous point about everyday headgear is an attempt to amplify the challenge that teams who are developing headsets with hardware face every day. Each design decision is critical. And the physical feel of the glasses is absolutely crucial for maximizing comfortable hands-free use. Kazuya Kamakura, senior staff, HMD Business Management Department, Visual Products Operations Division at Epson, leads the product development team working on the Moverio BT-300 Smart Glasses. He described how the team was slated to show its drawings to internal decision-makers at Epson just before it discovered the rapid prototyping processes of Proto Labs. Kamakura acknowledged the limitations of digital design and simulation, and it’s no surprise that the Epson product development team chose to test its designs and design changes for the Moverio BT-300 Smart Glasses product with physical prototypes. The team had to be sure that the glasses were comfortable. To help the team understand the physical reality of its designs, it used the discovery of Proto Labs’ rapid CNC machining quick-turn prototyping services to its advantage. Proto Labs used its quoting and design analysis software to give Kamakura and his team a “crystal ball” that enabled it to see where machining risks were and determine if any cut remainders would cause issues prior to the product’s mass production. The ability to rapidly iterate each improved design ensured that the BT-300’s product quality was given the best chance to become a full-fledged Epson product. And the process worked. The feedback was great, and the Moverio BT-300 Smart Glasses were praised for their comfort. The Epson design team acknowledged the contributions of Proto Labs and will continue to use the company for quick-turn CNC machined prototyping in the future. As for the BT-300 smart glasses? They’re being mass produced and sold for developers.